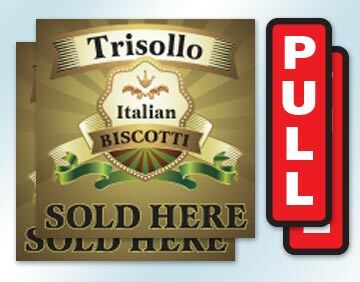 Double-sided window stickers have an image on both sides of the sticker. 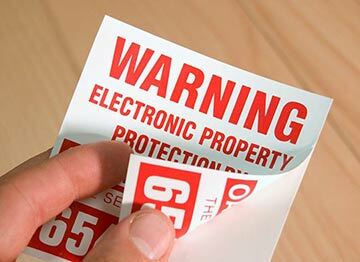 There is an opaque metal membrane in the middle to prevent light transmission through the sticker. 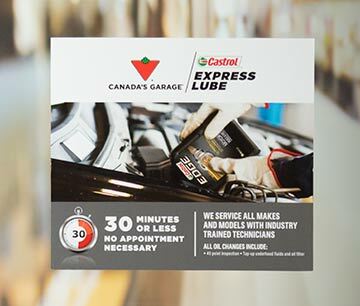 This 'Barrier Film" is a feature many of our competitors do not have, resulting in a sticker that is difficult to read when backlit. 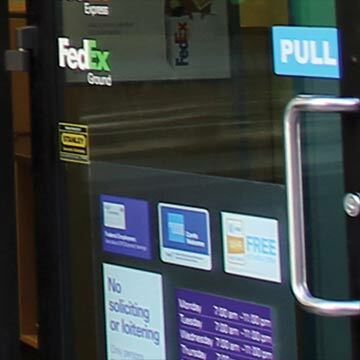 Double-sided window decals are available with a permanent adhesive, a removable low tack adhesive, or a repositionable, reusable dot adhesive. 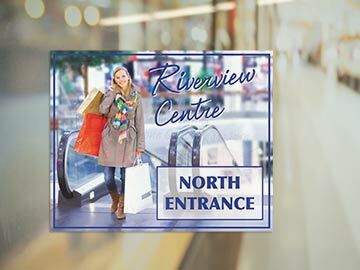 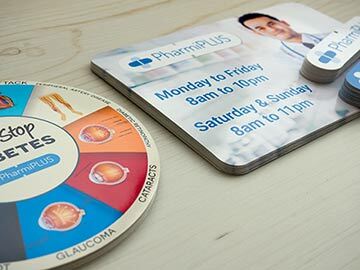 Double-sided stickers are often used by retailers at store entrances to maximize information and advertising space by displaying promotions and information on both sides of the window. 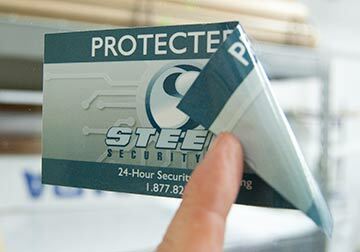 Alarm & Security businesses utilize double-sided decals on their clients property displaying warnings to the outside, while reinforcing brand reocgnition to the occupants. 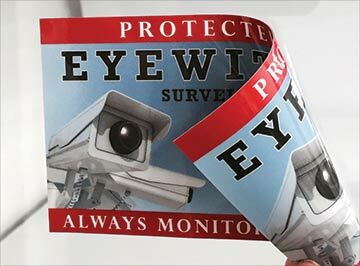 Double-sided Window stickers are sometimes called 2 way stickers, 2 sided decals, or double layer labels.